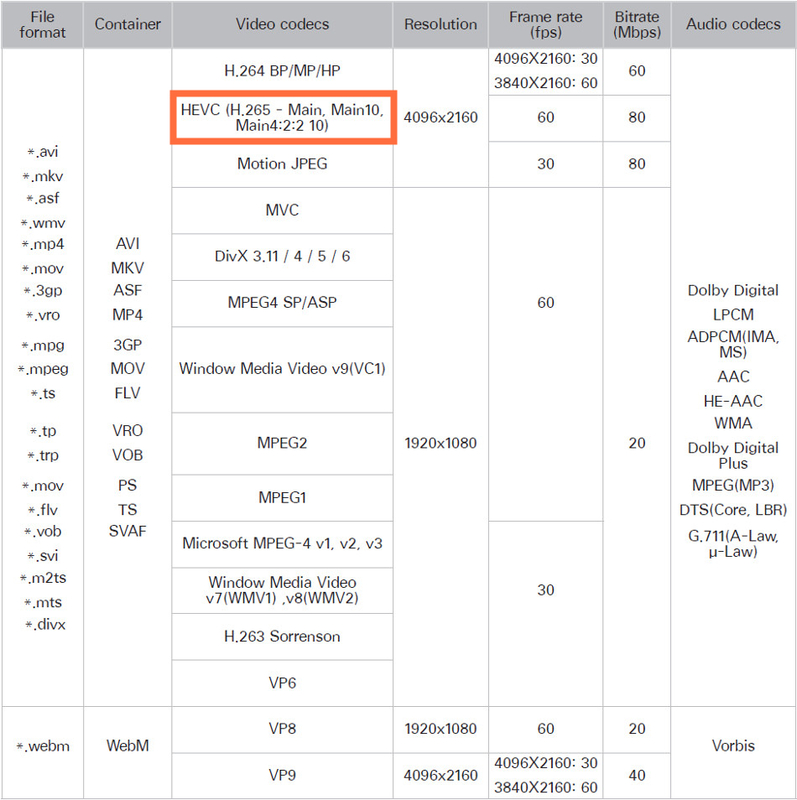 After several years, H.265, also known as High Efficiency Video Coding (HEVC), is not a new codec technology and new video compression standard any more. As the successor to H.264 or MPEG-4 AVC (Advanced Video Coding), it can compress video files to the half size with the same video quality as the original as well as improve the video quality at the same bit rate. Since Samsung TV support H.265 code, here we show you how to rip Blu-ray to H.265(HEVC) for Samsung TV in details. Blu-ray Player is required when watching Blu-ray movies and it is hard to manager the Blu-ray disc. For easy manager the Blu-ray movies and avoid damageing the disc after playback over and over again, converting the Blu-ray movie to an H.265 video is the perfect solution. Result is the image quality is the same, but the file size is reduced to half. Cheers! You can backup Blu-ray to NAS such as Synology NAS Drive for easier management. Now that Samsung TV support H.265 (it's supported format chart), why not rip your Blu-ray to H.265 for watching on your big Samsung TV? I'd also like to make use of the h.265 codec, since it will cut down significantly on space. I've got myself a tons of Blu-ray disc, I decided that I'd like to rip my extensive blu-ray collection to H.265 codec for my Samsung TV, andI know that I will have to use a Blu-ray ripping tool, which oen should be? Brorsoft is a powerful H.265 encoder, decoder and converter. DVD Ripper and Blu-ray Ripper can rip and convert DVD/Blu-ray movies to H.265 videos; Video Converter Ultimate can convert non-H.265 videos to H.265 videos, and vice versa. It's easy to use, and performs professionally. For Mac users please turn to Brorsoft Store to get Mac version, it is full compatible with all MAC OX including macOS Sierra. Download and install Brorsoft first, here we take Blu-ray Ripper windows as example, DVD Ripper and Video Converter Ultimate have almost the same step, just follow. Insert your Blu-ray disc into your BD drive, and click "BD/DVD disc" icon to load your Blu-ray movies. You can also import movies files from Blu-ray folder, ISO. 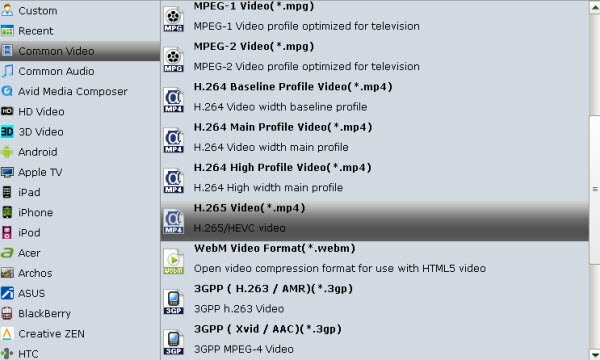 Hit the "Format" box and select H.265 Video(*.mp4) from Common Video profile. It enables you to rip Blu-ray to H.265 .mp4 with the best quality. Then you can transfer the H.265 or Samsung TV preseted Blu-ray movies to your Samsung TV for watching easily.